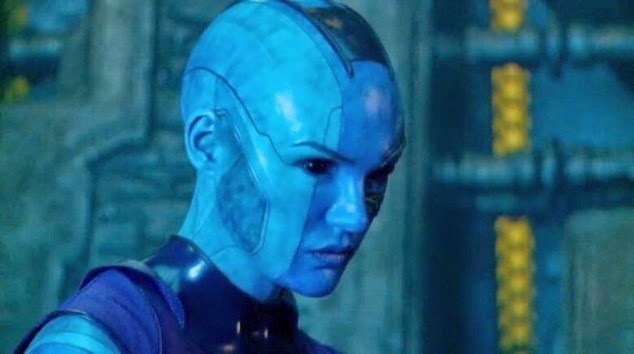 Guardians of the Galaxy: NEW Images of Karen Gillian as Nebula! 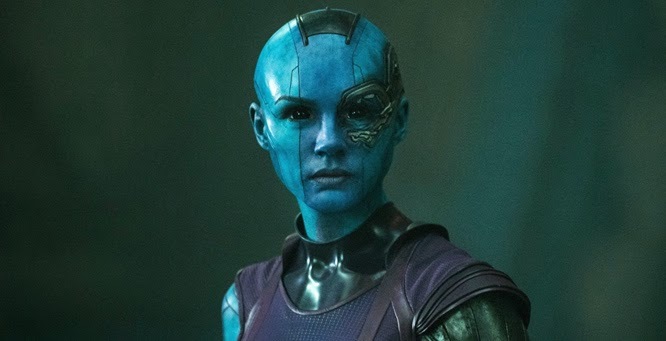 Marvel has recently released stunning, new, high-quality images of Doctor Who star Karen Gillian as the ruthless Guardians of the Galaxy villain, Nebula! 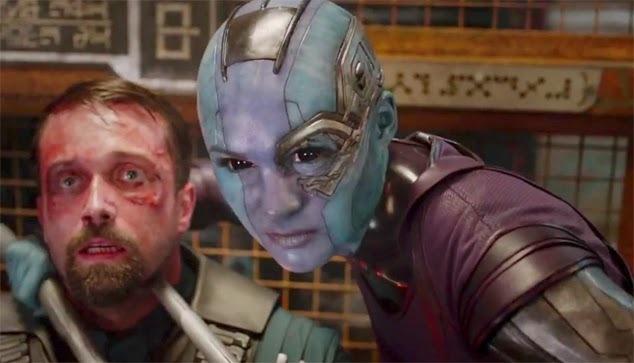 Gillian completely changed her look in order to play space pirate Nebula—she even shaved her lovely, long auburn locks! 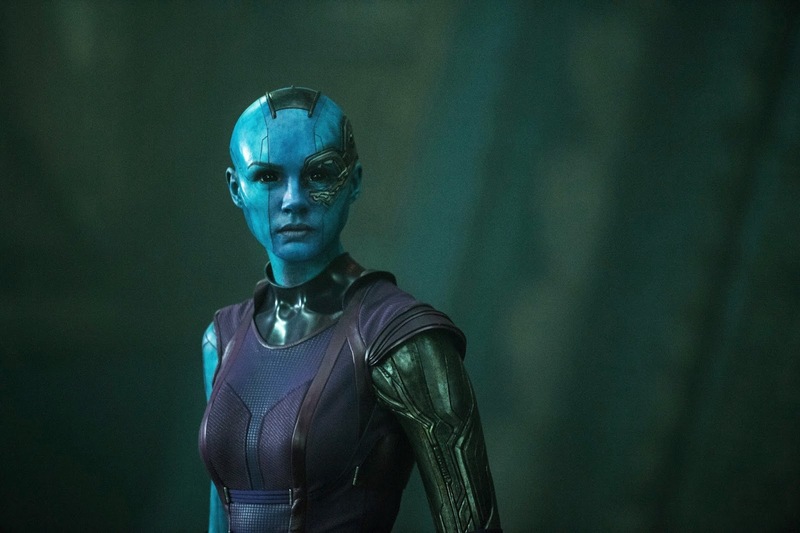 It certainly has paid off, because she and the makeup and costume designers have done a fantastic job at bringing the comic book villain to life. 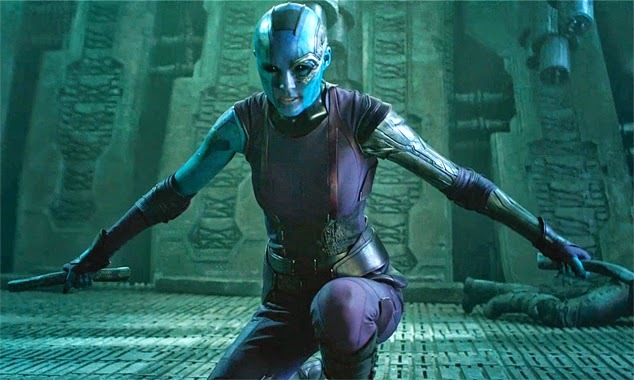 Speaking about the character, recently she said, "Nebula is unapologetically so mean. She gets such enjoyment from what she does, and what she does is so bad. It really, really helps to change so drastically physically. I feel like people were slightly more intimidated by me." What do you guys think of Gillian's portrayal of the character? Let us know!